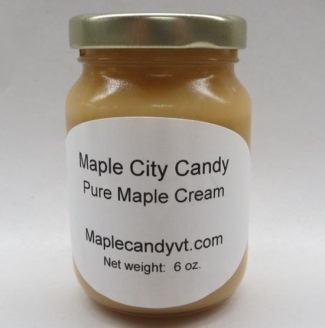 It's not maple butter. It's better! 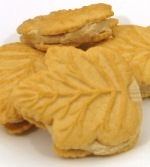 Pure maple cream is made from pure Vermont maple syrup with nothing added. This creamy spread is delicious on everything from bagels, English muffins, and French toast to pancakes and strawberries. 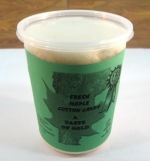 If when you open the lid there's a layer of maple syrup on top, no problem! Simply give it a few seconds in the microwave (not more than 5 seconds) to soften the cream a bit, then give it a quick stir and you're good to go. Delicious! 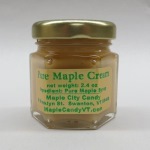 Maple cream makes a wonderful gift from Vermont, any time of year! 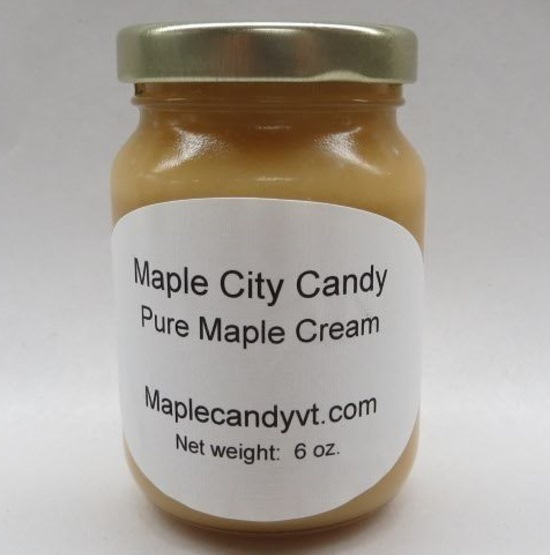 For a look at the maple cream, click on the maple cream jar image to enlarge.